View of Great Charles Place looking down Ludgate Hill. The plans were presented at a public consultation today (Wednesday 30th September). The first phase includes 320 studio, one, two and three bedroom apartments, 20,000 sq ft of ground floor retail and leisure space, and a mix of units, totalling 8,000 sq ft, to cater for small businesses. There will also be 100 car parking spaces for residents. 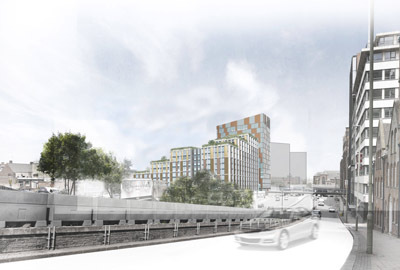 The apartments will have a dedicated reception with 24-hour security and a porter service, while a communal garden will provide outdoor space for residents, with shared roof terraces offering views across the city. London-based Long Harbour has invested more than £200m in PRS schemes across the UK since 2013. It will retain the ownership of Great Charles Place, managing and operating the residential apartments. 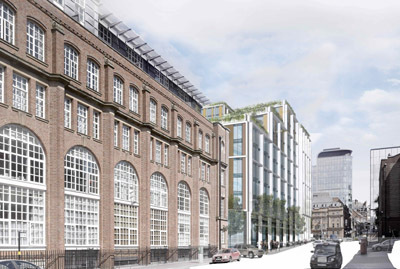 A closer view of the development from Ludgate Hill. Great Charles Place represents Long Harbour’s first investment in Birmingham and is the first institutionally backed PRS scheme in the city. 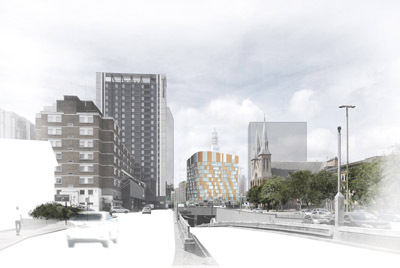 The two-acre Great Charles Street site on which the proposed Great Charles Place development will be built is owned by Birmingham City Council and is currently a surface pay-and-display car park. 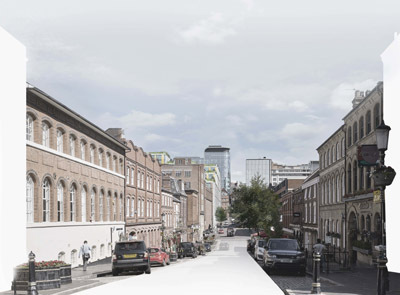 Adjacent to Snowhill Station, the site fronts Great Charles Street (A38) and is bounded by Ludgate Hill, Lionel Street and Livery Street, in the Jewellery Quarter Conservation Area. 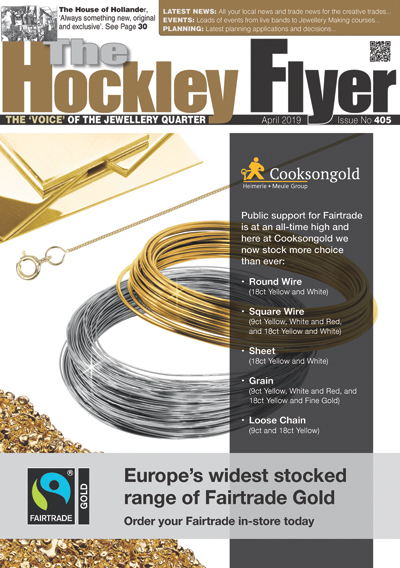 It featured heavily in the Snow Hill Masterplan, launched earlier this year, as the key site linking the Jewellery Quarter with the Colmore Business District. View from Great Charles Street. View of Great Charles Place from St Chad’s Queensway. Sterling Property Ventures entered into a joint venture agreement to develop the site with the council in June 2013. A detailed planning application for the apartments, retail/leisure space and small business units will be lodged with the council in October. At the same time, Sterling Property Ventures will seek outline planning permission for the second phase of the scheme – a 205,000 sq ft office development with 40 basement parking spaces. The Grade A offices will be BREEAM rated ‘Excellent’, with floorplates of circa 15,000 sq ft, arranged over 14 floors. James Howarth, managing director of Sterling Property Ventures, said: “Plans for Great Charles Place have been on the drawing board for two years so we are extremely excited to finally be in a position to share our vision for the scheme with the public. “Getting a funder on board was the last piece of the puzzle and with Long Harbour committed to funding and operating the residential element of the scheme we can look forward to bringing the development to fruition. Rebecca Taylor, Long Harbour’s investment and development manager, said, “We have been working very closely with our partner Sterling and their professional team over the past few months to ensure that Great Charles Place promotes a strong sense of community, delivers homes that are of a superior quality and creates a new and vibrant destination for Birmingham. A team of professional advisers has been appointed to advise on the scheme, including architects AHR; planning consultants Turley; project manager Gleeds; mechanical and engineering consultants, WPP; structural engineers Davies Maguire & Whitby and building control consultants, BCA. Knight Frank advised Sterling Property Ventures on funding and have been retained to advise on both the residential and commercial schemes going forward. Pitmore Ltd and CMS Cameron McKenna advised Long Harbour.